2017 is coming to a close. We all expected great things for tea this year and I think it’s safe to say that monumental things did indeed happen. Whether or not these were good things depends on whom you ask! A judge barred Starbucks from closing many Teavana stores. Reporting a 30% surge in losses, DavidsTea contemplated selling. Russia banned Sri Lankan tea, much to their chagrin. We recapped the Best Tea Gear of the year, and the Best Tea Books. Starbucks announced that in addition to shutting down Teavana stores, it will sell Tazo to Unilever. Jordan, our Editor-in-Chief, traveled to the only tea estate in Colombia, a guest of Bitaco Tea. Restuarant Insider asked us about matcha. American Tea Room shut down all their retail locations overnight. 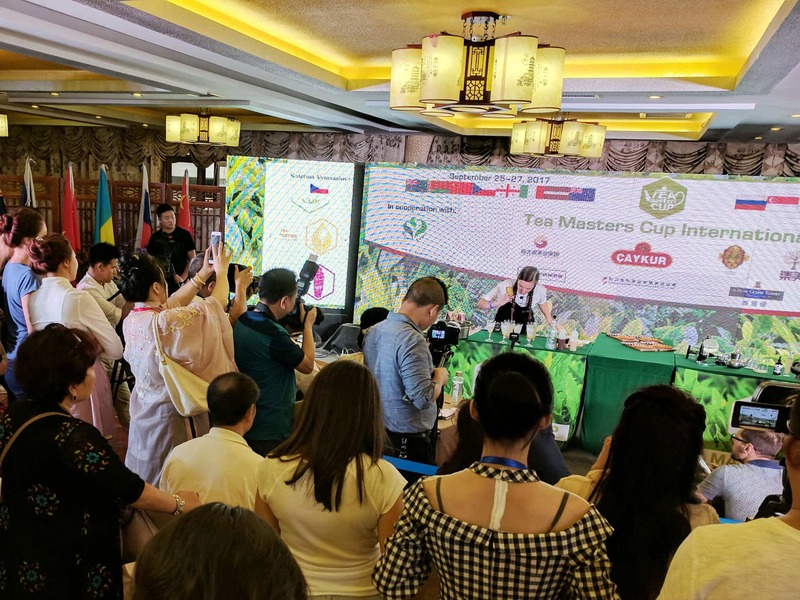 Sharyn Johnston succeeded Denis Shumakov as Head Judge for the Tea Masters Cup. Teforia, recipient of best tea gadget at the World Tea Awards and created by a former tech from Microsoft, went under. Tony, our Founder, traveled to Enshi, China to help judge the Tea Masters Cup. Jordan linked up with Spirit Tea in their tea tour across the USA. We learned that Obama used the red button on his desk to order tea. For the first time in 40 years, there was no tea auction for Darjeeling. We detailed how Townshend’s Tea turned into a triple-threat tea company. South Korea made a bid for global recognition of their tea producing areas. Winnie Yu, influential tea person and good friend of ours, passed away. Starbucks was sued, effectively blocking the closure of many Teavana locations. Euromonitor announced that coffee is set to eclipse tea in 2021. Tony traveled to Sri Lanka, as a guest of the Sri Lankan Tea Board to celebrate 150 years of Ceylon tea, in addition to many celebrations across the world. Amy Covey talked tea, gender, and the shifting landscape of male-dominated tea businesses in China. Starbucks announced the impending closure of all 379 Teavana locations across the county. Darjeeling completely shut down amidst the Gorkhaland strike and protests. We tried to help explain. Smith Teamaker expanded into South Korea. Tyas Sosen kicked off a super educational 6-part series for us about matcha. Jordan visited Japan, and shared lots of his tea experiences. Jordan also visited the World Tea Expo. A fraudulent tea won the top prize in a Taiwan tea competition. White2Tea talked about the poor quality of pu’er this year, and how the region is getting too touristy. Scientists finally decoded tea’s genome, and we learned quite a bit about our favorite plant. We chatted with Tyas Sosen, owner of The Tea Crane and the first Belgian and youngest foreigner to become a certified Nihoncha instructor. We put together a list of where tea is grown in the United States and where it’s grown across the globe! The “Microwaving Your Tea” controversy exploded across the internet. We took a look at the tea served in the World’s Best Restaurants. The esteemed Makaibari estate in Darjeeling burned down. We covered what the Dutch Tea Championship is, and it’s ultimate result. We chatted with many people in tea, including Jun Chiyabari tea estate in Nepal, Satemwa tea estate in Malawi, and Jeff Kovac, owner of Four Seasons Tea Co.
Tony was featured in NPR’s The Salt, talking about Pu’er. La Colombe Coffee partnered with Rishi Tea for a full-scale retail tea program. We saw the first murmurs of dispute in Darjeeling, in addition to the escalating effects of climate change. We tasted the first RTD Nitro Matcha, indicating the continued growth of the Ready-to-Drink tea category. We talked to Kollo, a luxury RTD iced tea brand.